Katie Ann (Hostetler) Kramer, age 95, of Belle Center, Ohio passed away Friday afternoon, February 1, 2019, at home. She was born in Plain City, Ohio August 14, 1923, to the late Dan and Emma (Frey) Hostetler. Katie married Melvin Kramer December 17, 1942, and he preceded her in death January 26, 2004. She was also preceded in death by a son, Alvin Kramer; two sisters, Verna Gingerich and Emma Hostetler; six brothers, Lester, John, Eli, Sam, Dan, and William Hostetler. Katie is survived by her children, John (Leona) Kramer, Vera (David) Troyer, Martha (Lavon) Gingerich, Edna (Henry) Troyer, Henry (Barbara) Kramer, Emma (Daniel) Troyer, and Karen (Mark) Yoder; thirty nine grandchildren; one hundred thirty two great-grandchildren; eighteen great-great-grandchildren and two sisters, Gerti Miller and Martha Hostetler. Friends may call at the Mahlon Coblentz residence in Belle Center Saturday, February 2, 2019, from 2 to 4 and 6 to 8 P.M., and also Sunday, February 3, from 2 to 4 and 6 to 8 P.M. The funeral service will be Monday, February 4, 2019, at 9:30 A.M. at the Coblentz residence, officiated by David E. Yoder, Jason Miller, and Harlen Helmuth. Burial will be at the Amish Cemetery in Belle Center. 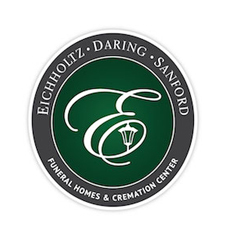 The arrangements are in the care of the staff of the Eichholtz Daring & Sanford Funeral Home in Belle Center.